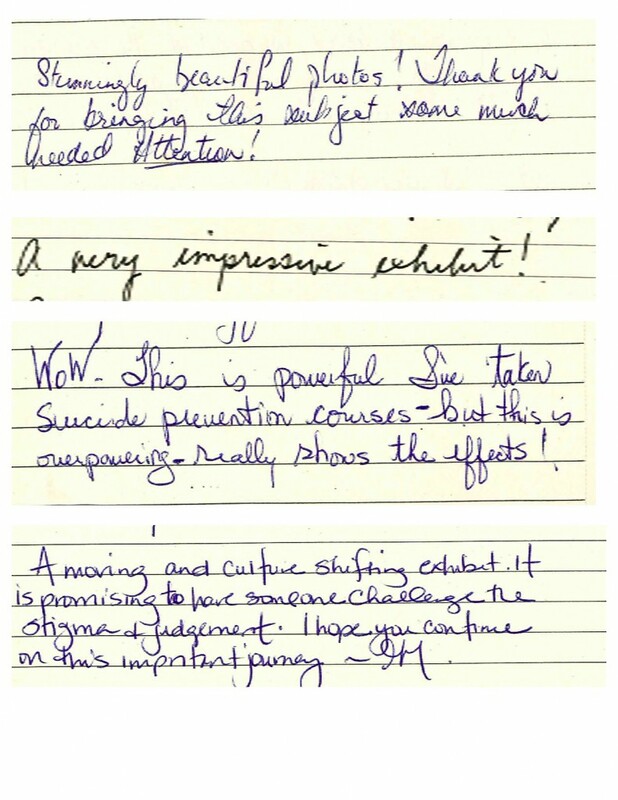 Here are a few images of journal entries that were written by viewers of the Collateral Damage (interim) exhibit that currently travels through Nova Scotia. I encourage and welcome you to share your thoughts below on the Collateral Damage Project. 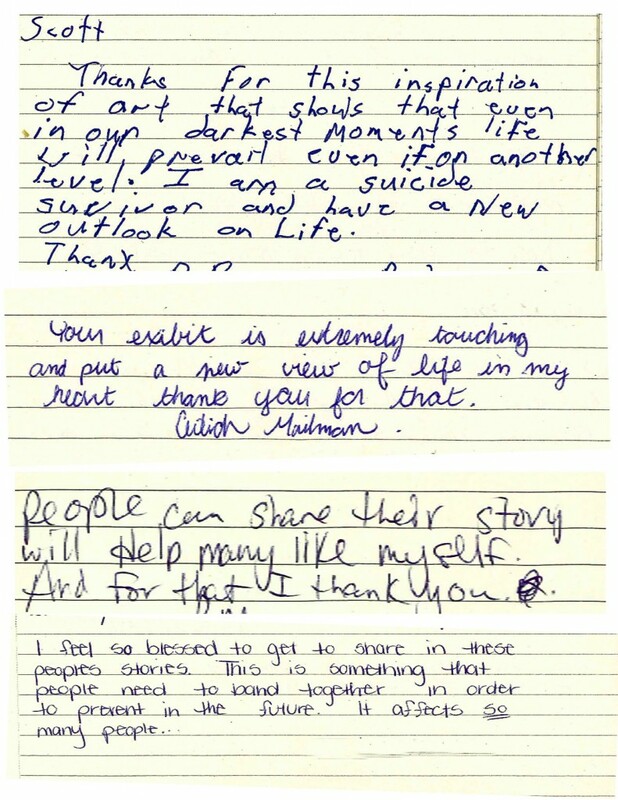 Journal entries from the Collateral Damage Project (interim) exhibit in Nova Scotia. 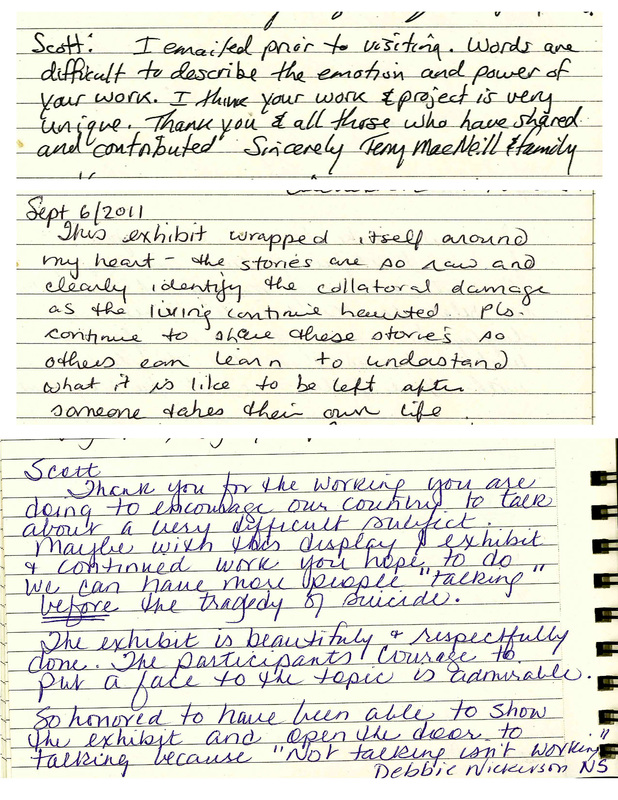 Journal entries from the Collateral Damage Project (interim) exhibit in Nova Scotia Canada.